Add some seasonal sparkle to your lessons this December with Christmas resources, worksheets and activities to use across the curriculum. From craftivities, games and quizzes to stories, maths, phonics, poetry, citizenship and assembly ideas, the teachers in our global community have uploaded their festive favourites to help you share the spirit of Christmas with your students. Here is a powerpoint about the story of tinsel. Adapted from a german folktale. The Christmas spider can be used with young children. Two page printable PDF. A craft activity to get ready for Christmas, which helps support Expressive Arts & Design and creative development. Plus, it is fun for parent/carer to do together with their child, will provide time for bonding and therefore support a child's emotional development. Use the smartboard resource to count presented sets of up to ten baubles, children select the correct number and are rewarded by a Christmas animation and sound effect. The word document with the large baubles, I make in to an interactive display, enlarge the tree to A3, laminate, cut out and laminate the baubles and attach with velcro, children can then dress the tree with their choosen amount of baubles. The other word document I use as a cut and stick activity for children which becomes a useful count assessment at the end of term. This lovely interactive Powerpoint Jigsaw based on the bright, colourful Nativity scene from the big book Puddles and the Christmas Play is great fun for pupils and also encourages them to use some of the vocabulary from this delightful story. Encourage children to count from 1 to 10 with this fun activity based around colourful Christmas items. The presentation contains 19 slides. The first section builds on numbers from 1 to 10. The second section gets the children to practice their counting skills with different numbers of selected items, before being shown the answers. The worksheet contains sets of items for the children to count for themselves. It is provided as a Word document so it can easily be adapted for your particular needs; for example changing the numbers in each set so no two children in the class have the same numbers in each set. 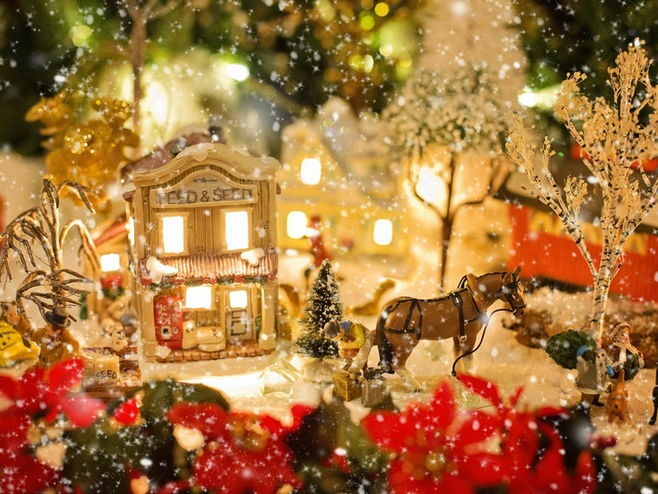 This Christmas Present Riddles lesson will make a fun English activity for the festive season! We ho-ho-hope you will love making these lift-the-flap Christmas riddles! Uh-oh! There has been a mix-up in Santa’s workshop and the cheeky elves have left clues about the presents instead of labelling them correctly! In this lesson, pupils will help Santa to solve the elves’ riddles and then they will write their own riddles about Christmas presents. 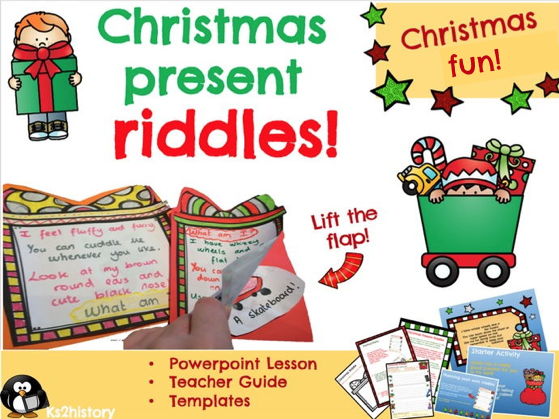 Follow the instructions to turn the riddles into fun lift-the-flap Christmas presents, perfect for a festive classroom display! The Powerpoint provided guides you though the full lesson, including time to discuss ideas and vocabulary. Then pupils can use the templates provided to plan their riddles and turn them into fun lift-the-flap pictures. - A resource pack including teacher instructions and templates for the activity. This is a fun activity easily adapted for KS1 or KS2. Activity pack suitable for children aged 3-11 years old. Includes make a Rudolph Wooden Spoon, create Christmas baubles, make a stocking decoration, make a paper plate snowman, Ruldolph the Red-Nosed Reindeer song lyrics, Gingerbread man recipe, Christmas colouring pages, Dear Santa poem template and Christmas Poem writing. A fun Christmas activity that you can display in the classroom and then take home to hang on the Christmas tree. ♦ lift the flaps to reveal a Christmas picture and write a Christmas wish on the back of the star. 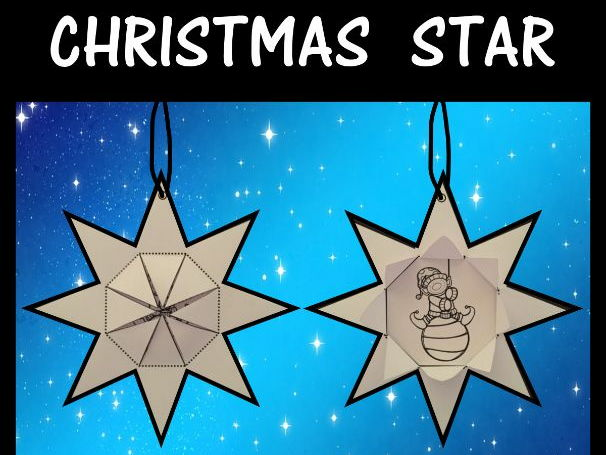 ♦ lift the flaps to reveal a Christmas wish and have the picture on the back of the star. ♦ Star templates – 30 different picture options. ♦ Instructions – construction, colouring, writing. ♦ Blank template to draw your own picture. There are 2 files included in this resource to suit many classrooms around the world. I believe this activity is suitable for approximately 8 years and over. Some precision with cutting and gluing is required. 2 pieces of paper are used to make each star (front and back). There are 30 different pictures included for the ‘back’ star template which allows plenty of choice for you and your students. Pictures from 5 different clip artists have been used so there is some variation in the style of pictures. 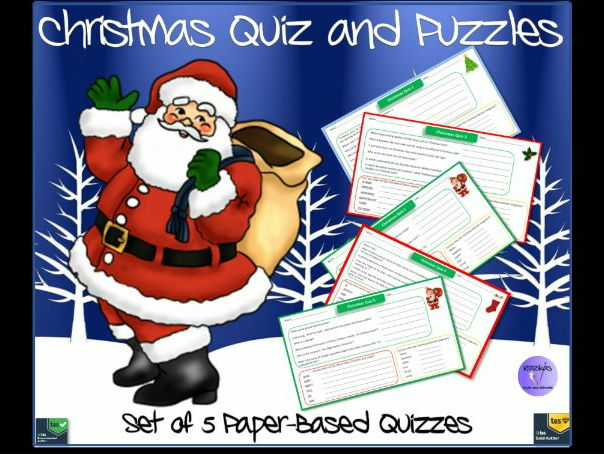 This is a 20 question Christmas Quiz powerpoint suitable for KS4 & KS5. A PowerPoint with 26 taboo words. Each word contains 5 taboo words. Works really well as a group activity with students sat in front of the projected word. Please visit classdebates.com/debates to view this resource as an online slideshow. The version featured here is a PDF document. Class Debates Weekly combines a unique format of classroom debate with a weekly resource based on a topical item from the news. Our debating system is totally inclusive – there’s no need for formal debating skills and there are no winners or losers. Our resources are designed to be flexible. They’re effective with secondary school students of all ages and abilities. They can be used during form time as part of Citizenship, SMSC and PSHE programmes. They’re also easily integrated into curricular schemes of work, e.g. in English, History, Politics, Media Studies and Philosophy & Ethics. Create either a cute little Danish Elf or Santa with this unique crafting idea from Denmark. This is a Danish Elf Craft that I use to make with my Grandmother at Christmas. Bring a little Scandinavian Christmas Traditions into your classroom. As a child, we would hang these Elf’s from our Christmas tree, the rafters in the barn, sit the them on a shelf or on tops of bottles. This continues to be a Christmas tradition in my house…my kids love making them! These Elf crafts are great for developing fine motor skills such as: folding, coloring, painting, gluing, cutting, listening and following directions. These units are designed in a Mix and Match format. You are able to pick the pieces that you want, depending on the needs and the abilities of your students…so many possibilities. This unit can be approached in several ways. Either as a quick Christmas craft that will take about 90 minutes to complete. Or as long, in-depth project that will take upwards of a week or two to complete. In my classroom, creating the basic lantern will take my kiddos about 90 minutes (coloring and assembly). I always teach each step of the process in isolation. • Check out the preview to see everything included! Christmas seems to arrive earlier each year and become more frantic to-boot! I saw this idea a few months back and thought it could be a fun activity with a tutor group or clubs – Especially as my partner pointed out that so many advent calendars appear to have no reference to Christmas apart from the twenty-four little doors. The idea is a fun and selfless way to celebrate the countdown to Christmas Day, giving us all time to pause and think about the season’s true and original meaning. I have included twenty-four ideas of my own, however you may have some of your own personal ones to include. Your students may wish to make their own up as a class, in group or individually. 1. General questions about Christmas. 2. The initials of Christmas songs and carols. This resource is a highly visual, fully editable and interactive, 100 question PowerPoint Christmas quiz. It is an ideal resource for an assembly, a lesson or with a tutor group. The quiz can be administered in a variety of ways - to individuals or teams. The answers can be found by clicking on the question mark image on each slide. Answers can be given either as you go through the quiz or at the end. A question and answer sheet are provided to allow individuals/teams to record their answers. 1. In which country does Santa have his own personal postcode - HOH OHO? 2. Who banned Christmas in England between 1647 and 1660? 3. What happened at Christmas in England for the last time in 1960? 4. Which two states in the United States of America have towns called Christmas? 6. If you were given ‘frumenty’ at Christmas (in medieval times), what would you do with it? 7. Which book begins with “Christmas wouldn’t be Christmas without any presents”? 8. What did Dumbledore swap his pointed wizard’s hat for at Christmas dinner in ‘Harry Potter and the Philosopher’s Stone’? Also suitable for SEN students due to the highly visual nature of resource and multiple choice format. Thinking of publishing your own resources or already an author and want to improve your resources and sales? Check out this step-by-step guide. To be kept informed of new resources click here and follow. Give your students the gift of digital empowerment this December! Whether they are snapping seasonal selfies or their funny festive friends, make sure learners understand what happens when photos are posted on social media with these ready-to-use lesson ideas. This fantastic resource bundle is packed full of fun Christmas and end-of-term activities for all ages, and it’s FREE when you buy any teaching resource from Sunday 10 to Sunday 17 December. *Request a credit on a resource you’ve bought here.